I had better love Catholic’s; most of my mother’s family are Catholic’s, Happy Catholic. There are an estimated 1.2 billion Roman Catholics in the world, according to Vatican figures. Catholic’s need to unite under one agreement? I pray that this unity will have some way for their leaders to marry? With the simple stroke of a pen by the Pope, a law made by man, can be changed by a man! Could it be that God and Jesus are being miss quoted? As a nobody, I take this as, only the soul will be ruptured, not the body and Angels do not marry. 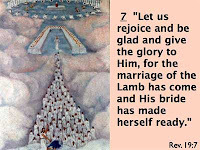 The 'Trinity' has no need to marry they are God! 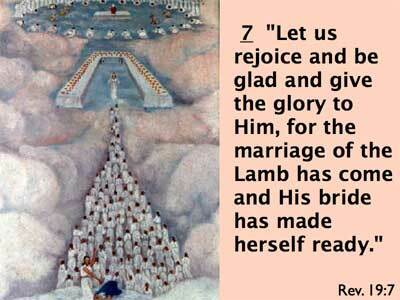 “None of us will be married in heaven (Mt 22:23–30)”? Pope Hormisdas (514–523) father of Pope Silverius. Pope Adrian II (867–872) His wife and daughter both resided with him until they were murdered. Pope John XVII (1003) all became priests. With the simple stroke of a pen by the Pope, a law many by man can be changed by a man! “Teacher,” they said, “Moses told us that if a man dies without having children, his brother must marry the widow and raise up offspring for him. Absolutely nothing gets by the Pope! Romulus Augustulus Constantine became sole emperor of Rome. He supported the Church financially, built basilicas, granted privileges to clergy (such as exemption from certain taxes), promoted Christians to high office, and returned property confiscated during the long period of persecution. In constructing the Old Saint Peter's Basilica Constantine went to great lengths to erect the basilica on top of St. Peter's resting place, so much so that it even effected the design of the basilica and even undertook the challenge of erecting it on the hill where St. Peter rested, making its complete construction time over 30 years from the date Constantine ordered it to be built. 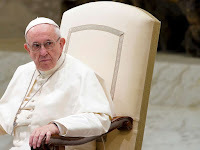 The Vatican City is distinct from the Holy See which dates back to early Christianity and is the main episcopal see of 1.2 billion Latin and Eastern Catholic adherents around the globe. The pontiff is to arrive at Dublin Airport Saturday. Even with huge crowds likely to line the streets of Dublin, sexual abuse survivors are calling for an investigation into historical abuse to be funded by the church. The US grand jury report accused more than 300 "predator" priests in the state of Pennsylvania of abusing more than 1,000 children over seven decades, sparking a fresh bout of soul-searching among senior Catholics across the world. 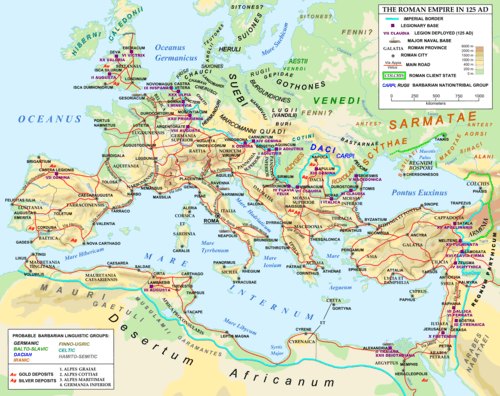 The Roman Empire, at its height (c. 117 CE), was the most extensive political and social structure in western civilization. 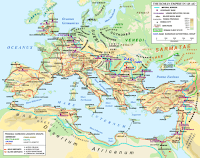 By 285 CE the empire had grown too vast to be ruled from the central government at Rome and so was divided by Emperor Diocletian (284-305 CE) into a Western and an Eastern Empire. The Roman Empire began when Augustus Caesar (27 BCE-14 CE) became the first emperor of Rome and ended, in the west, when the last Roman emperor, Romulus Augustulus, was deposed by the Germanic King Odoacer (476 CE). In the east, it continued as the Byzantine Empire until the death of Constantine XI and the fall of Constantinople to the Ottoman Turks in 1453 CE. The influence of the Roman Empire on western civilization was profound in its lasting contributions to virtually every aspect of western culture. 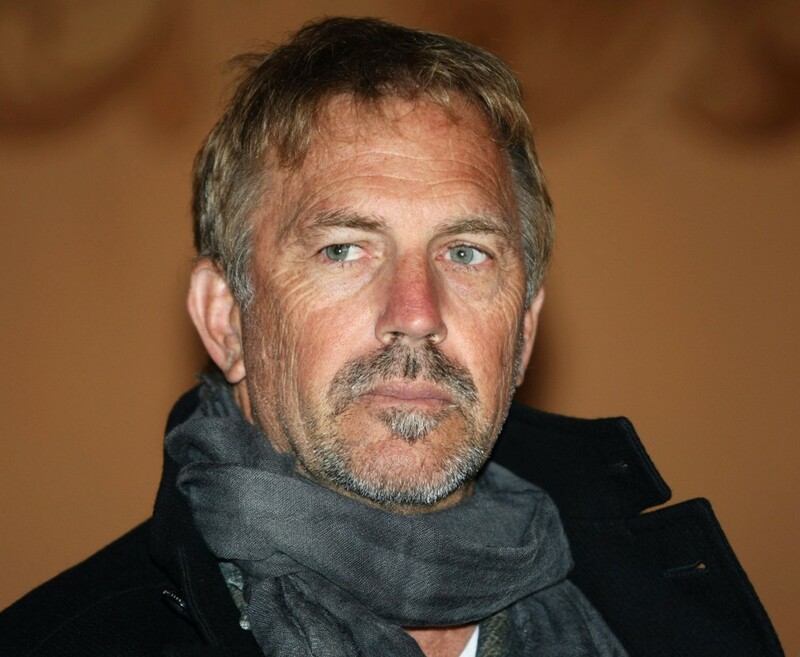 Is Kevin Costner a 'Jokester' or a 'Movie Star'? 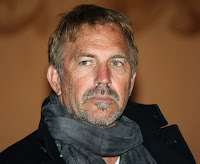 Is Kevin Costner a 'Jokester' on just jealous of a real 'Movie Star'? ‘Queen of Actors', 'Whoopi Goldberg'. Along comes Kevin Costner on the view pushing his film ‘Yellowstone' and hugs everyone except Whoopi Goldberg? If given a 'Script' Costner is a good actor, Whoopi is a 'Great Actor' and can prove it! As a comic, Costner is adequate at best, Whoopi is a 'Great Comic' and can prove it! Kevin Costner would do poorly as a TV Show host, Whoopi is a 'Great Actor' and can prove it! Kevin Costner would do poorly as a host at the Oscars, Whoopi was 'Great three times' and can prove it! would not be qualified to carry her 'Spittoon'! He needs to do a lot more than hug her! 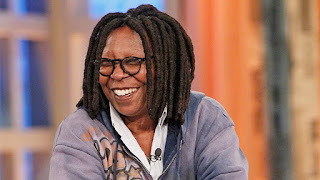 Dec 26, 2017 - PHOTO: Whoopi Goldberg is the moderator on ABCs "The View" which ... “The Long Walk Home,” “Soapdish,” “Sister Act,” “Made in America,” “Boys ... She has been the moderator and co-host of ABC's “The View” since 2007. Whoopi Goldberg is ready to ring in her 10th anniversary at “The View.” The Oscar-winning actress will return as the moderator for the show’s 21st season this fall, Variety has learned. Her contract renewal is an important one for ABC, as Goldberg has been the glue that’s kept “The View” together since creator Barbara Walters retired in 2014. By focusing on political stories under Trump’s presidency, ratings for “The View” this season are at its highest in three years. The show averaged 2.6 million viewers last week, beating “The Talk,” which tends to veer away from politics in favor of pop culture. And “The View” has landed big guests over the last year, such as Democratic presidential nominee Hillary Clinton, Senator Elizabeth Warren, and former secretary of state Condoleezza Rice. Whoopi Goldberg isn’t going anywhere! The actress, comedian and television host had hinted earlier that this season might be her last on The View, but she had a change of heart. She made an announcement about her future on The View during a visit to The Tonight Show Tuesday. “My daughter called me and she said, ‘I really don’t think it should be this year. I think you need to give it another year because we just had this new election, and who knows what’s going to happen, so I’d like you to stick around,’” Goldberg said.